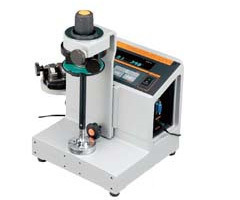 Torque driver tester with loading device eliminates measurement errors. For calibration and adjusting of torque screwdrivers and small torque wrenches. Digital type torque screwdriver tester. Eliminates visual reading errors. Doubled resolution (compared to the previous model) allows for further accurate measurement. Data memory capacity up to 99 readings. Sample quantity of stored data, maximum value (Hi), minimum value (Lo) and mean value can be calculated and displayed. Power source: AC100V - 240V, Battery Pack is available as an option. 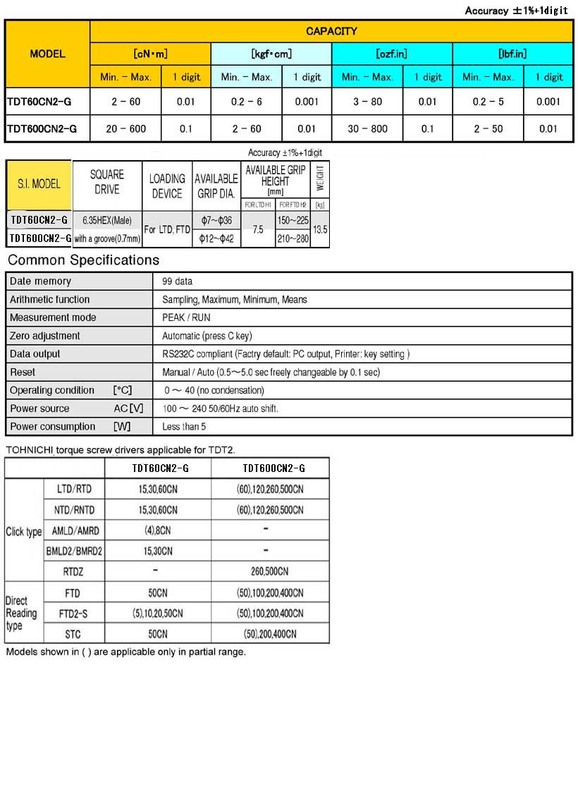 TDT2-G has all 3 torque units in one model (Newton, Metric and American).